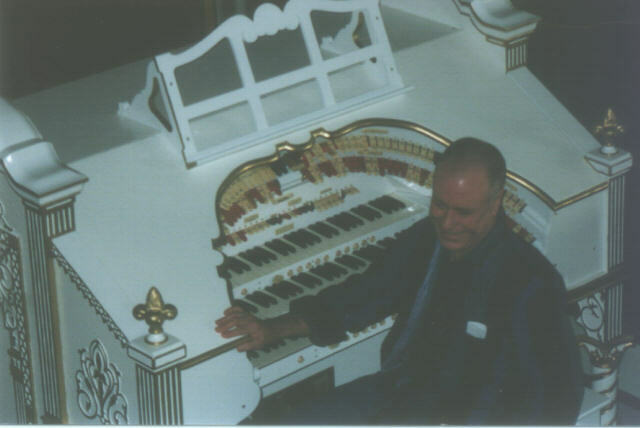 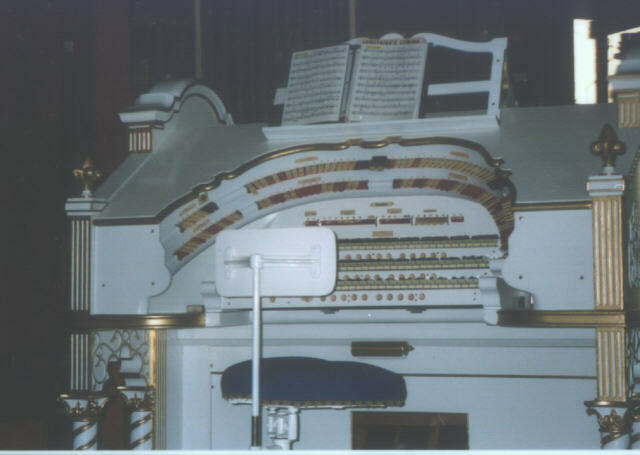 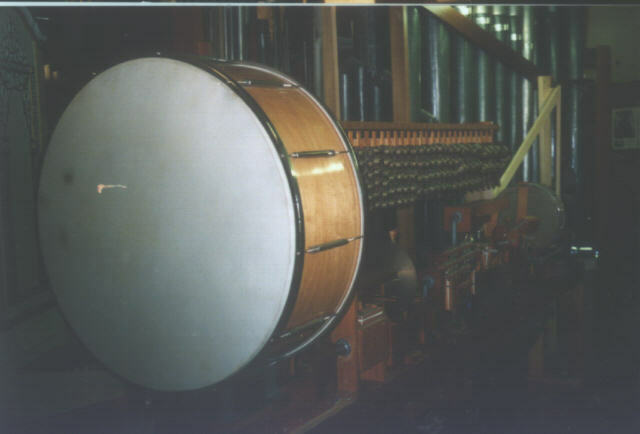 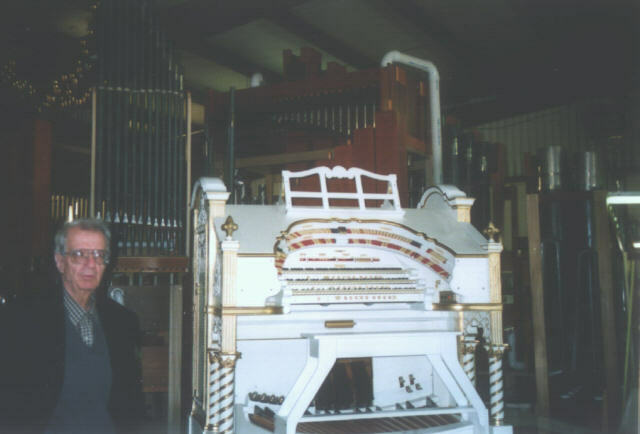 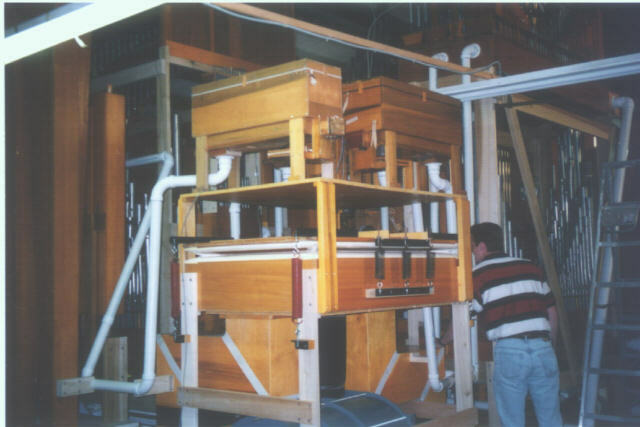 On Saturday, March 22, 1998 the Houston Area Theatre Organ Society was invited to hear the newly refurbished Wurlitzer destined for the Plaza Theatre in El Paso. 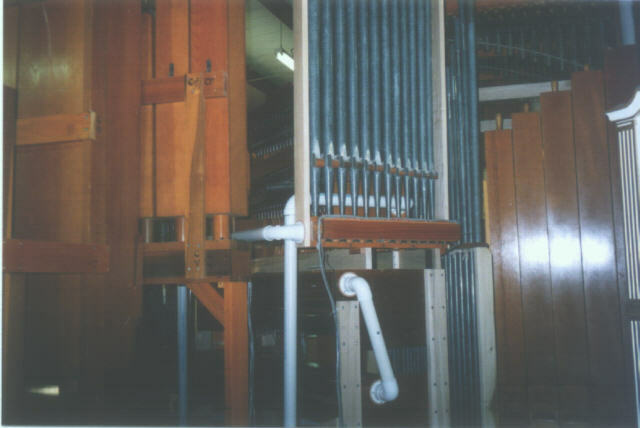 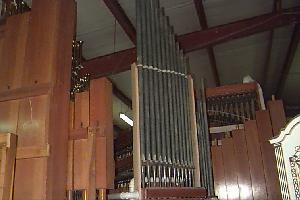 This organ contains 15 ranks of pipes including a brass sax and brass trumpet. 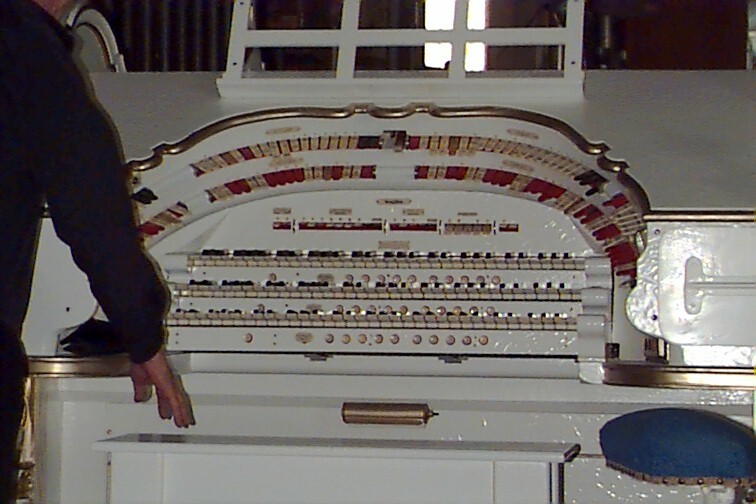 Examining the console. 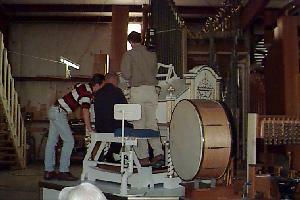 Notice the "Howard Seat" standing by. 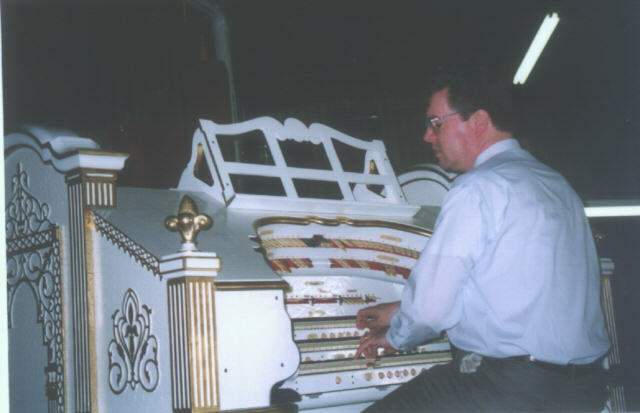 The WurliTzer was rebuilt by Visser-Rowland organ builders of Houston, and it appears that a splendid job was done on the organ. Last Report, 4/15/98 the organ was being installed in the Mall in El Paso. Anyone have pictures of that? 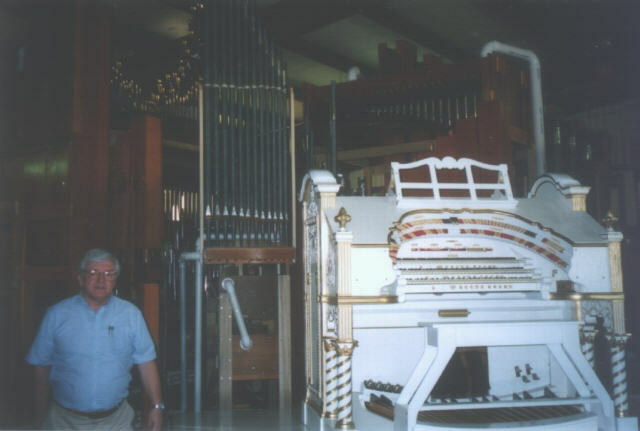 Send them to us please! 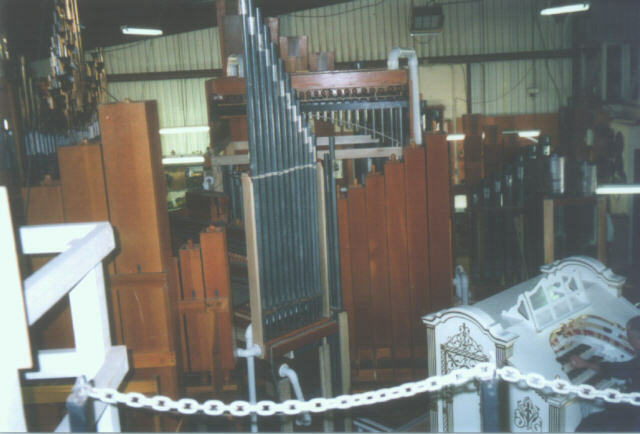 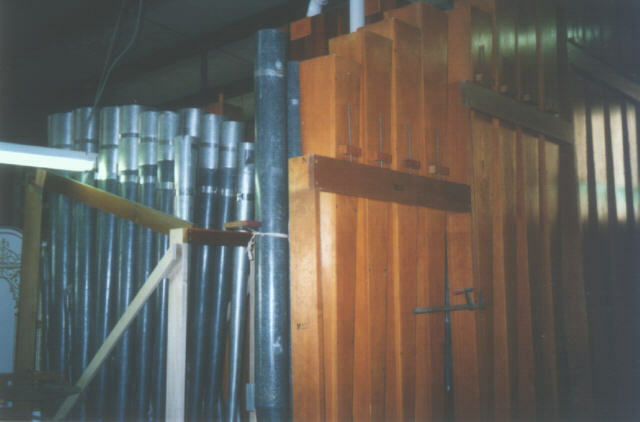 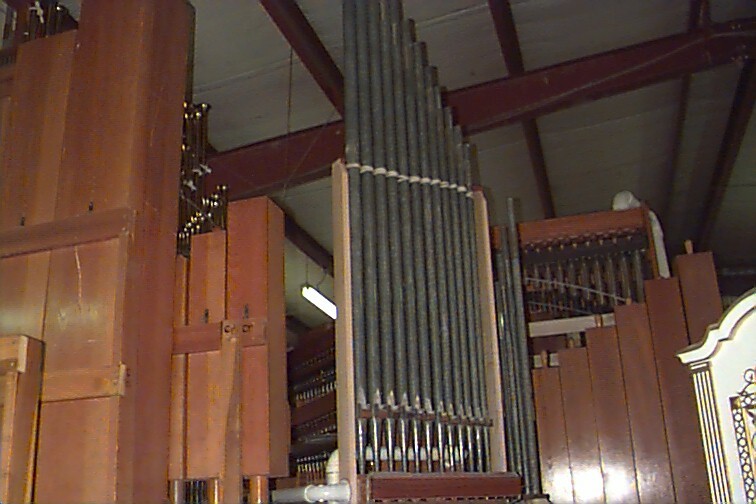 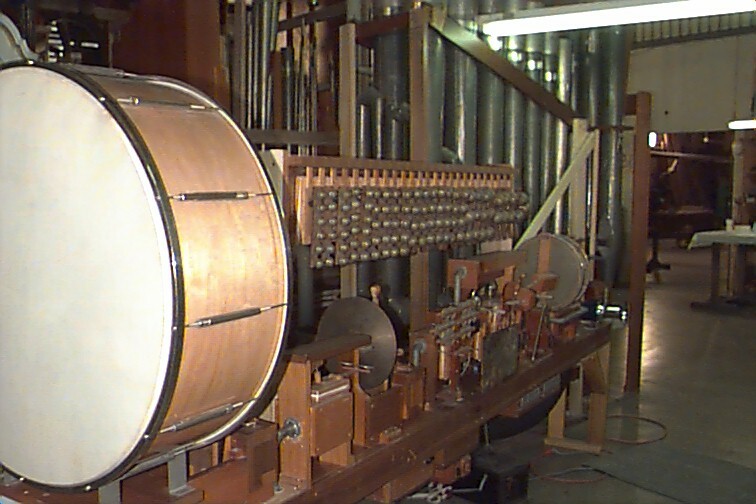 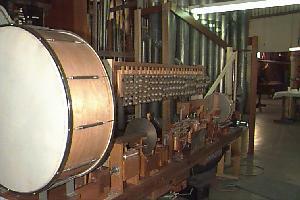 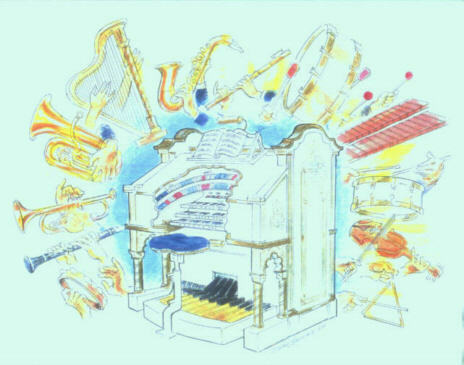 The organ is slated to be delivered to the Sunland Park Mall in El Paso, TX where it will be set up and playable. 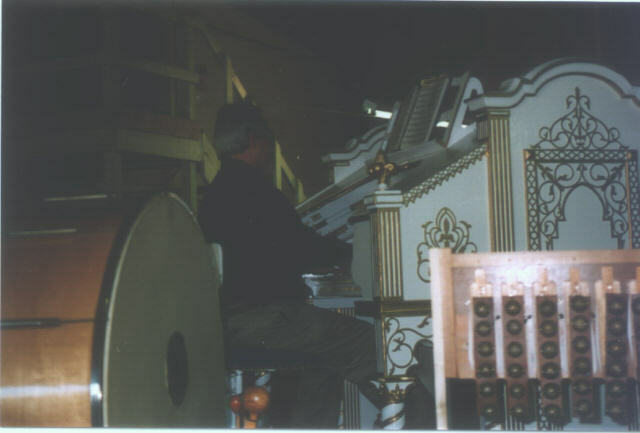 Then in 4 or 5 years upon completion of the rebuild of the El Paso Plaza Theatre the organ will be returned to its original home. 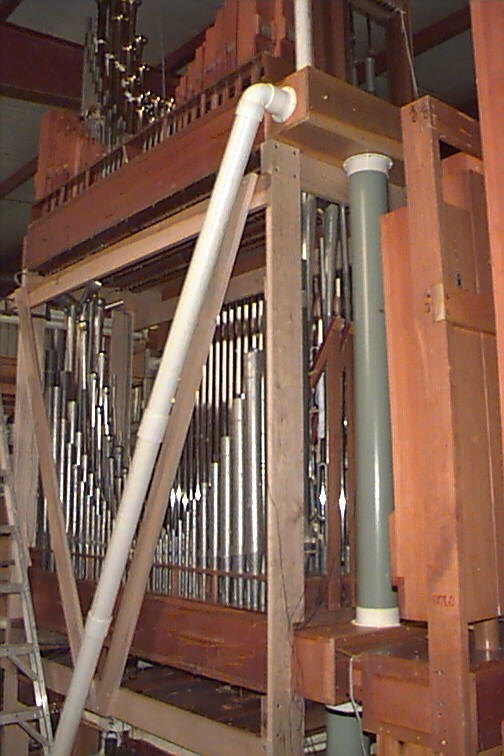 And yet another site about the organ! 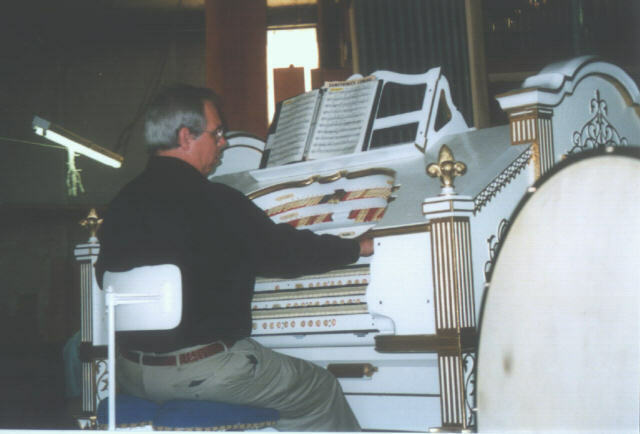 Stay tuned for more pix and info as it comes in!